To finish the Baby Jesus study, be a wise man and search for the star. 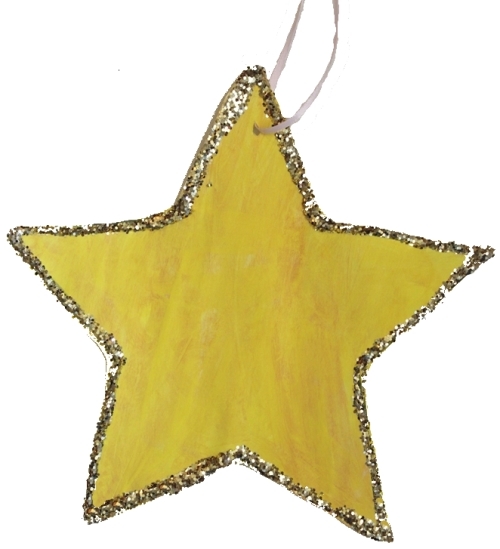 Without the child watching, hide a star in the room. Tell the child that she is to be like the wise men and find the star that led them to baby Jesus. Help the child dress the part with a robe and a towel around his/her head (use a belt, safety pin, or rope to hold the towel on). Review colors learned by playing Colorama and Candy Land. Using play dough, finger jello, or cookie dough, make letter or number cut outs with ABC/123 cookie cutters. Continue to practice drawing straight, horizontal, diagonal, and circular lines. Try taking away the yellow guide lines and use only the green and red dots. • Cut up used Valentine's, Christmas, or greeting cards to make puzzles. To make it more difficult, mix together more than one cut-up card. Spray shaving cream on the walls of a shower. Using a spray bottle, spray water on the shaving cream to remove it from the walls. If snow is available, add a little food coloring to the water and spray the snow. The movement to spray the bottle is an excellent fine motor activity. On several pieces of paper write the number 0-8. Lay the pieces of paper on the floor. Throw a bean bag at the papers and jump up and down representing the number it lands on. Then spread the numbers farther apart and have the child run to the number called.